Tag: ARE YOU BEING WATCHED? Just a heads-up that I’ve posted an Adobe After Effects video promoting my webcomic ARE YOU BEING WATCHED?- which ran from 2015 to 2017, and is still viewable on Patreon (and which is soon to become my next book from Dark Horse)- on YouTube and Patreon. 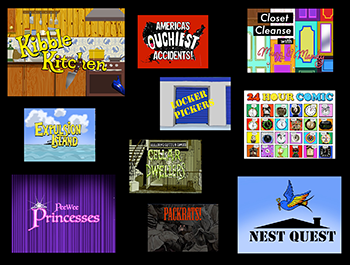 The video takes the form of credits sequences for imaginary Reality TV shows such as KIBBLE KITCHEN and CLOSET CLEANSE, which appear as part of the story. I’ll be posting digital art created for the video in the coming weeks. My first foray into Adobe After Effects, this animated logo is taken from the Cellar Dwellers chapter of ARE YOU BEING WATCHED?, a graphic novel about Reality TV which ran from 2015 to 2017 on my Patreon page, and which is forthcoming in book form from Dark Horse Comics. My eventual plan is to make animated logos for all the Reality shows in the story as a video promotion for the book. I got a major assist on this one from Milan Erceg, After Effects wizard and director of 24 Hour Comic, the recent documentary I appeared in. I did the illustration and lettering, but Milan added the creepy blur-in effect and lots of digital noise to simulate the look of a vintage TV show. My hope is to eventually acquire enough chops to be able to do this kind of thing on my own with no help. Wish me luck! 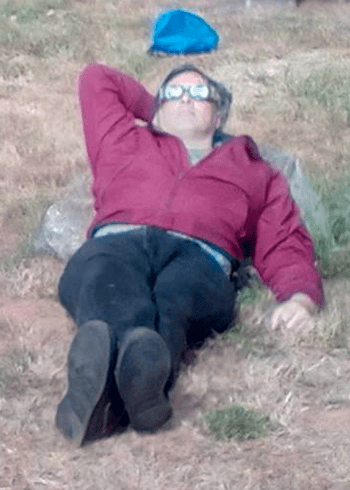 We’re well into the fall, and I have posted only sporadically the entire summer, so it’s time I caught you loyal readers up on what I’ve been doing. One big thing was that I concluded my webcomic ARE YOU BEING WATCHED?, which I have been serializing on Patreon for the past two years. 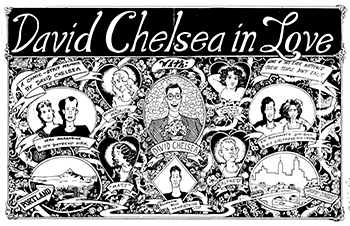 You can read the entire run of the strip on Tumblr here, at least for a while- there are plans in the works for a book version, and I will most likely take down the archive when that comes out. This Week on Patreon: A Curtain Call For ARE YOU BEING WATCHED?, And THE CRUMB BUMS Begin! 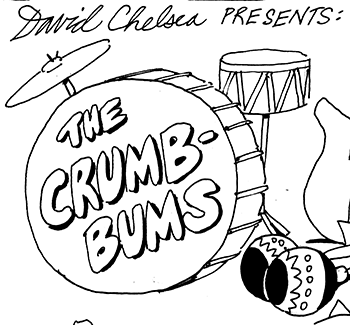 Continue reading This Week on Patreon: A Curtain Call For ARE YOU BEING WATCHED?, And THE CRUMB BUMS Begin! 24 HOUR COMIC Opens! ARE YOU BEING WATCHED? Ends! Last night was the long-awaited theatrical premiere of 24 HOUR COMIC, the documentary film directed by Milan Erceg, in which I appear along with seven the other artists including my daughter Rebecca, drawing– what else?– 24 hour comics. 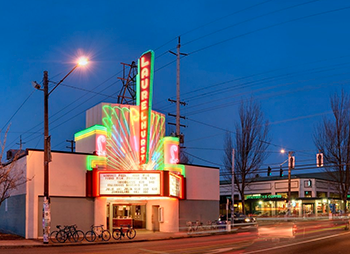 The premiere at the Laurelhurst Theater in Portland went well; we had a near-full house, the audience laughed in all the right places, and there was a lively question-and-answer session afterward. My fellow participant (and ARE YOU BEING WATCHED? colorist) Jacob Mercy still refuses to watch the film, but showed up for the q and a and seemed to have a pretty good time despite his misgivings. Rebecca (thirteen at the time of filming, seventeen now) was unfortunately barred from attending due to restrictive Oregon Liquor Control Commission rules, but she will be on hand for a matinee showing today at the theater at 4 PM. If you missed the first time, even if you didn’t, I urge you to attend. l’ll be on KBOO-FM radio today at 11:30 am PDT to talk about the film with Milan and KBOO host S.W. Conser. Listen in Portland at 90.7 FM, or worldwide on the web. Continue reading 24 HOUR COMIC Opens! ARE YOU BEING WATCHED? Ends! 24 Hour Comic: The Movie Premiere! 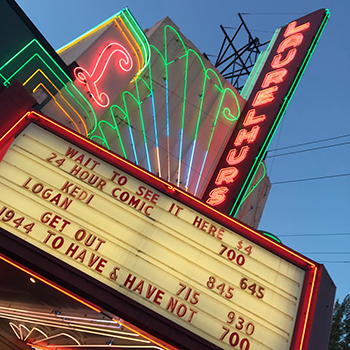 I believe I have mentioned this before, but 24 Hour Comic, the documentary in which I appear, along with seven other cartoonists, is about to have its Portland theatrical premiere. In the film, 8 Artists confined to a comic book store partake in Scott McCloud’s 24 Hour Comic Challenge. Each attempting to write, draw, and complete a 24 page comic in 24 hours. The film is the debut feature from filmmaker Milan Erceg, and features, among others, Paul Guinan, Rachel Nabors, Sera Stanton (now known as Opal Pence), Jacob Mercy, Pete Soloway, and Tom Lechner, and also has some delightful footage of my daughter Rebecca at 13, making her first attempt at a 24. Special guest appearance by comics guru Scott McCloud! 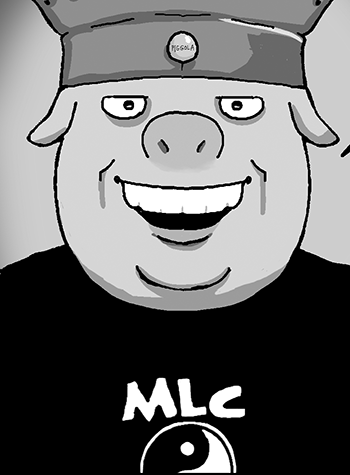 Continue reading 24 Hour Comic: The Movie Premiere! ARE YOU BEING WATCHED? : Up The Yin-Yang! Continue reading ARE YOU BEING WATCHED? : Up The Yin-Yang! This Week On ARE YOU BEING WATCHED? Work In Progress, And Mandy Rocks A Corset! Continue reading This Week On ARE YOU BEING WATCHED? Work In Progress, And Mandy Rocks A Corset! 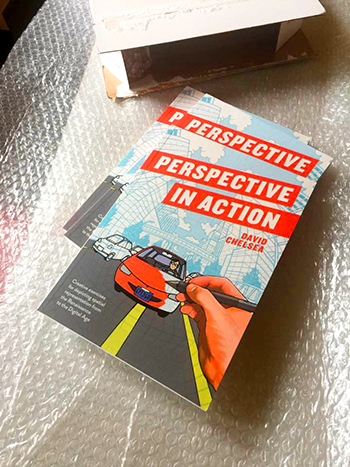 Coming In June: Perspective In Action! Just a reminder to all you loyal readers that my latest instructional book from Watson-Guptill, PERSPECTIVE IN ACTION, is being published this coming June 20th (coincidentally, my wife Eve’s birthday). Continue reading Coming In June: Perspective In Action!